Language teachers are divided about whether or not it is appropriate to assign students target language names. On the pro side, some teachers feel that it helps teach pronunciation and give students an identity in the target language. On the con side, others feel that it's not authentic, since students won't actually be addressed by a different name when they go to a target language country. While I think both sides have valid arguments, I'm personally on the pro side. In this post I'll share a little bit about the role names play in my classroom. Assigning target language names is a long standing tradition in American foreign language classrooms, especially in the lower levels. 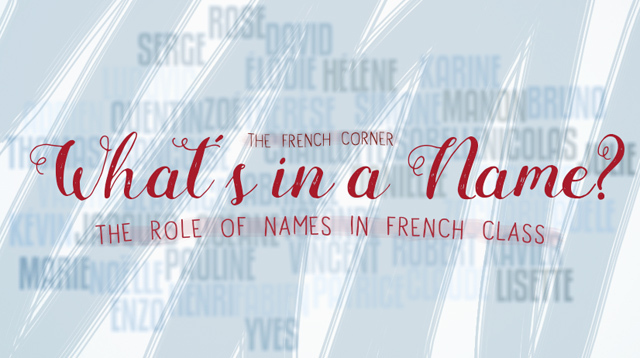 Since I teach 7th grade first-year students, many of them come into my classroom expecting to adopt a French name, and are very excited to do so. The process of choosing a name and an identity for French class gives them ownership and motivates them for the year ahead. Anything that motivates students is a winner in my book! Many former language students fondly remember the name they went by in class. I know I remember adopting the name "Simone" in French class, since "Samantha" doesn't have a French equivalent, and my mother says she went by "Chérie." In Spanish class, I chose the name "Paloma," because I liked the way it sounded. In any case, picking a target language name seems to create positive memories for students, and having positive memories about French class is what makes students want to continue their studies! Every year I've been teaching, I always create a list of names for students before the first day of school. With anywhere from 135-175 students, this is not a quick task, but the linguist in me really enjoys doing it. I get to know students' names, and it gets me excited for the year ahead. For each name, I provide a French equivalent or closest match. If it's a less common name, I consult Wikipedia or a French baby names site to find the match. Again, I'm a bit of a perfectionist in this regard, and really try to find an equivalent if there is one or the closest match if I can't. At the end of the two lists, I also add a few other popular names for boys and girls that hadn't already made it onto the list, especially hyphenated names like Jean-Baptiste or Marie-Claire. I don't have students pick names on the first day of school. There's too much else to take care of during the first week, plus, I need to learn their given names before I can start to learn their French names! On the first day of school, students learn how to introduce themselves. They get a piece of yardstick and make a name tag with their given name. They keep these out on their desks until I have learned their names. One of the things I like about choosing a French name is that it introduces students to French phonetics and spelling conventions. After giving this pronunciation lesson, I give students the list of names and let them practice pronouncing them with a partner. If they need help, they raise their hand and I assist them. While each student is given a French name that matches their given name, they can choose whatever name they like. Since most students choose the name I picked for them, it's not that hard to learn them all. For the students that choose a different name, many of them take great pride in getting to choose their name. Once the students have picked a name, they write "Je m'appelle" and their new name on the back of the name tag that they made on the first day of school. To help students learn each others' French names, an activity I do after teaching "Il s'appelle" and "Elle s'appelle" is to have students get in groups and try to memorize each others' names. 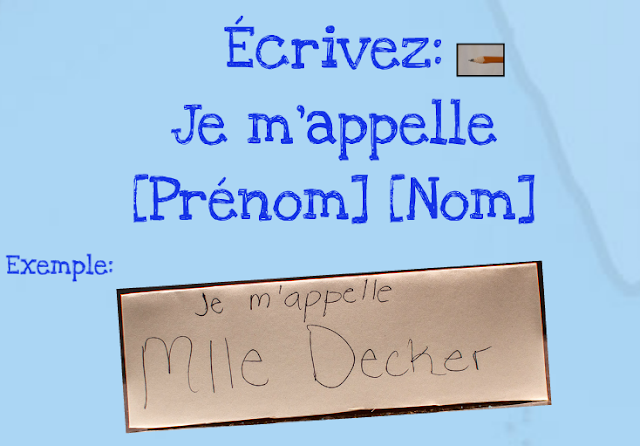 One student says "Je m'appelle [name]." The next student says "Je m'appelle [name], Il/Elle s'appelle [name of the person next to them]," and so on. If they finish quickly, they can repeat the activity, but this time each person adds a funny gesture after their name to spice things up. When students write their name on their papers, I teach them to write it the French way, LASTNAME Firstname. It's a way to incorporate culture into our routines. I first mentioned this idea in this prior post. My name's Samantha Decker and I'm a middle school French teacher from Saratoga Springs, NY. 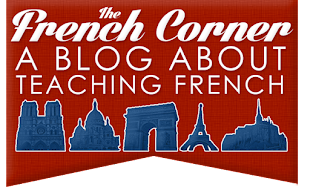 I started The French Corner in high school as a resource for French students, and have since expanded it into a blog for French teachers. Read more about the blog here. 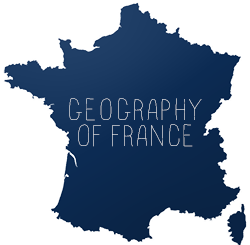 My Class Blog - Le monde parle français! Just An Ordinary FSL Teacher! Mange, aime, parle en français.